Hot Toys made an announcement via their Facebook page recently in regards to the Predator line of high end action figures. 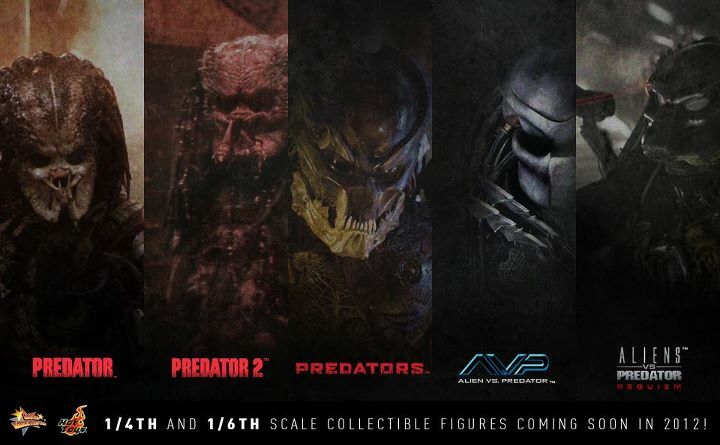 Apparently they have noticed such a positive response after their recent release of the Classic Predator figure, that they will be adding a new scale size to their lineup! 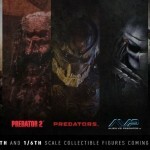 In addition to their 1/6th scale figures, 1/4 scale figures will be incoming of the entire Predator movie series, which includes: Predator, Predator 2, Predators, Alien vs. Predator, and Aliens vs Predator Requiem. Also revealed was the fact that the masks and some of the body armors will be diecast on the 1/4 scale figures, and they will be making a collectible figure of Dutch (portrayed by Arnold Schwarzenegger in the original Predator movie) in 1/4th scale as well!